Isolation and loneliness may increase the risk for acute MI and stroke. HealthDay News — Isolation and loneliness may be associated with increased risk of acute myocardial infarction (AMI) and stroke, according to a study published online March 27 in Heart. Christian Hakulinen, Ph.D., from the University of Helsinki, and colleagues used data from 479,054 individuals from the U.K. Biobank to examine whether social isolation and loneliness predict AMI, stroke, and associated mortality. The researchers found that 5,731 individuals had a first AMI and 3,471 had a first stroke over 7.1 years. Social isolation was associated with higher risk of AMI and stroke (hazard ratios, 1.43 [95 percent confidence interval, 1.3 to 1.55] and 1.39 [95 percent confidence interval, 1.25 to 1.54], respectively) in models adjusted for demographics. The hazard ratios for AMI and stroke were attenuated by 84 and 83 percent, respectively, after adjustment for all other risk factors (hazard ratio, 1.07 [95 percent confidence interval, 0.99 to 1.06] and 1.06 [95 percent confidence interval, 0.96 to 1.19], respectively). Similar results were seen for loneliness. In the fully adjusted model, social isolation, but not loneliness, was associated with increased mortality among those with a history of AMI (hazard ratio, 1.25; 95 percent confidence interval, 1.03 to 1.51) and stroke (hazard ratio, 1.32; 95 percent confidence interval, 1.08 to 1.61). 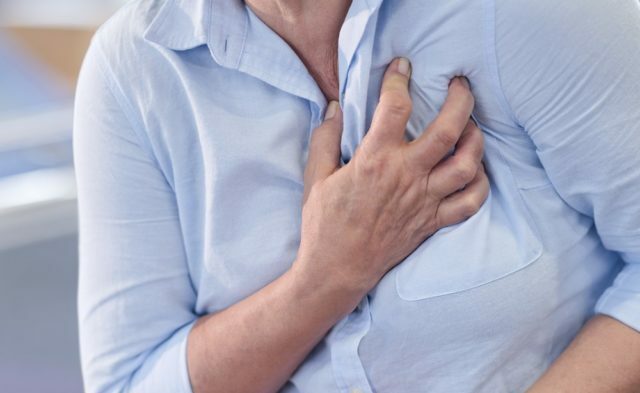 “Isolated and lonely persons are at increased risk of AMI and stroke, and, among those with a history of AMI or stroke, increased risk of death,” the authors write.